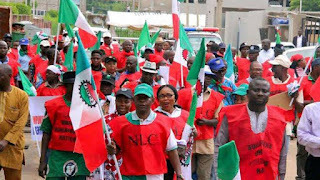 Nigeria Labour Congress, NLC, Trade Union Congress of Nigeria, TUC, and United Labour Congress of Nigeria, ULC - LAGOS - has issued a December 31 deadline to the Federal Government to send a draft bill on the new national minimum wage to the National Assembly for passage into law to avoid a nationwide strike in the new year. 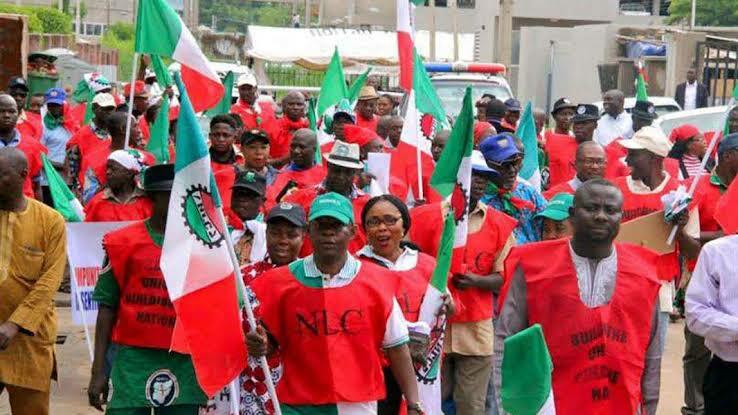 In a communiqué signed Ayuba Wabba, Bobboi Kaigama and Joe Ajaero, President of NLC, TUC and ULC has threatened a nationwide strike from January 2, 2019, should the Federal Government fail to send the a draft bill on the new national minimum wage to NASS before December 31, 2018. “almost two months of the submission of the report of the National Minimum Wage Tripartite Committee’s report which included a draft bill, no bill has been submitted to the National Assembly for passage into law. The Federal Government is planning to set up a high-powered Technical Committee which is alien to the tripartite process and International Labour Organization, ILO, conventions on National Minimum Wage setting mechanism. “Consequently, the meeting resolves as follows that the Federal Government is expected to transmit the New National Minimum Wage Bill to the National Assembly on or before December 31, 2018. “We reject in its entirety the plan by the federal government to set up another high-powered technical Committee on the new national minimum wage. It is diversionary and a delay tactics.